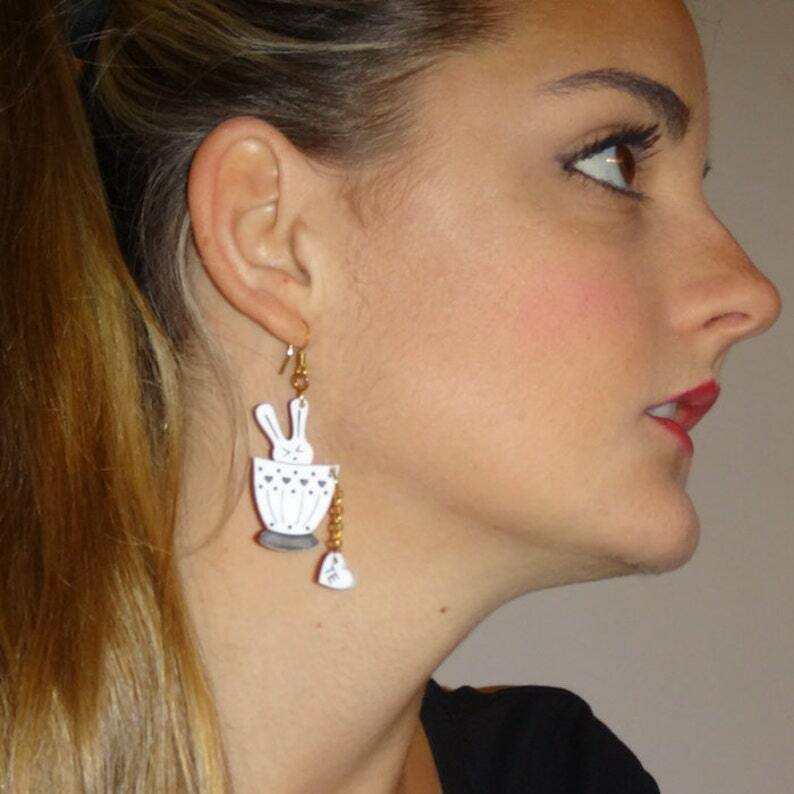 Beautiful Bunny Earrings by MiaView. These laser cut earrings are so light that you can wear it all day long and not even realize. Perspex can be scratched easily, be careful. While not in use, keep them in their original package and clean it with microfiber cloth. As it is a handmade ad hand painted item, you can choose the color you want the hearts painted. Just send me a custom order with what you have in mind! Too much chocolate on Easter Time? Time for some tea! Get 2 cups of tea and have a "tea-ache". Do not forget to put the heart on it! So light weight and adorable. Can't wait to give them as a Christmas Gift to my tea loving mom. Beautiful, fun earrings! They are a little heavy and have fallen out a few times, but I love them. The seller was prompt in addressing my question about the item, and the earrings came with multiple pairs of different types of backings. Purchased as a Christmas gift. slightly larger than I expected, but I love them!